This piano was donated by Mike & Rita Millichamp, and was decorated by Leigha Weatherford in collaboration with the Rainbow Centre. 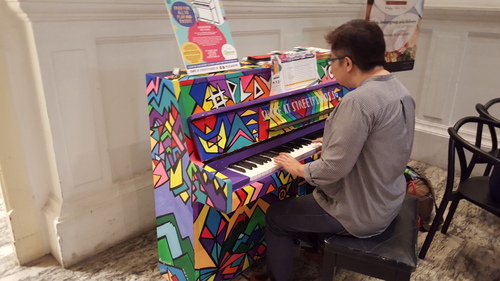 It’s available to play Mon-Sat: 10am – 12pm and Sun: 2pm – 8pm, the nearest MRT is City Hall and the piano is sited in the Lobby, between Timbre and The Barber Shop. 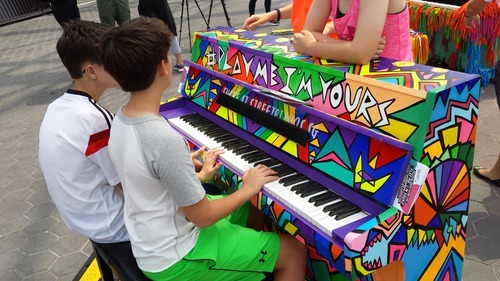 After a long solo museum walk, this street piano really made my day! Guest instructor Nathan Bugh (New York) for Solo Mojo gave a class on jazz music on a street piano at Arts House! Shape of You by Ed Sheeran. 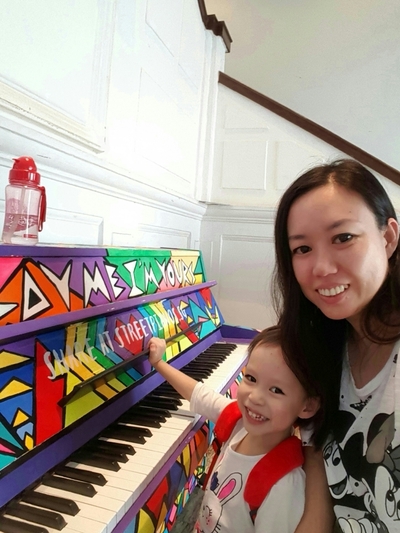 I had a fun time playing with my 3 years old daughter on this piano. Wonderful location especially at off-peak hours. And here's one, Getaran Jiwa, a classic Malay tune written by the legendary P Ramlee, that we did with our friend from the Rainbow Centre, Faridah Ali. We dedicated this to a dear friend and musical mentor, the late Farid Ali.